we have a ton of strawberries from when we went strawberry picking over the weekend. in an effort to use them before they go bad, we have been putting strawberries on everything. 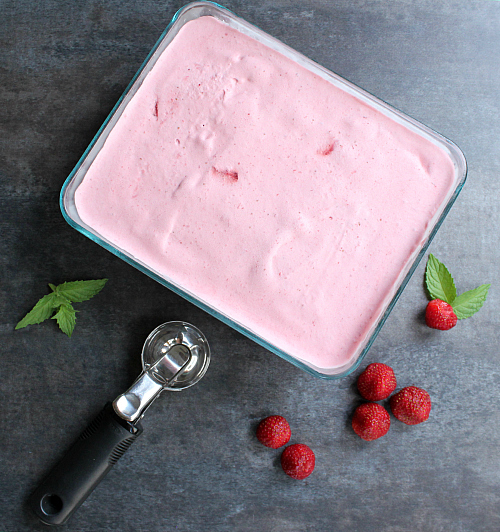 the other night, we put some of our strawberries to good use in a batch of fresh strawberry ice cream. in the summer time, nothing beats desserts that incorporate fresh fruit. 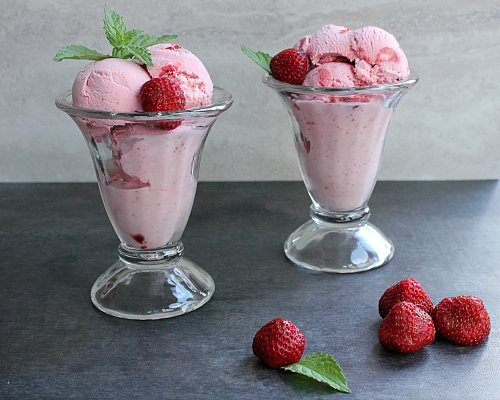 let me tell you, strawberry ice cream is extra delicious when it is made with fresh strawberries that you picked yourself. there is just something magical about it. 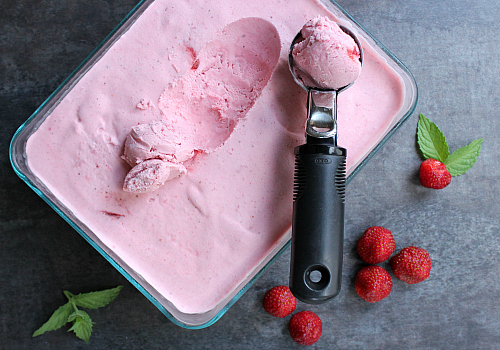 strawberry ice cream is so easy to make, and it only requires a few simple ingredients. no chemicals or ingredients that you cannot pronounce like you would find in store-bought ice cream. 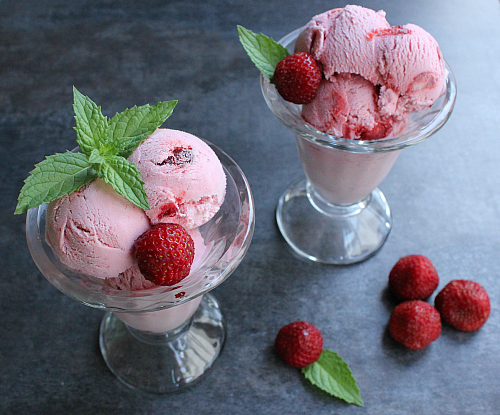 the strawberries give this ice cream such a pretty pink color. no artificial food coloring here, just natural pink coloring. 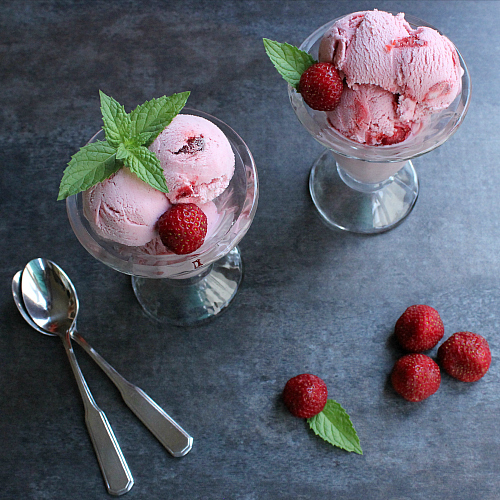 this ice cream has an amazing strawberry flavor with a soft, smooth, and creamy texture. it is totally decadent. 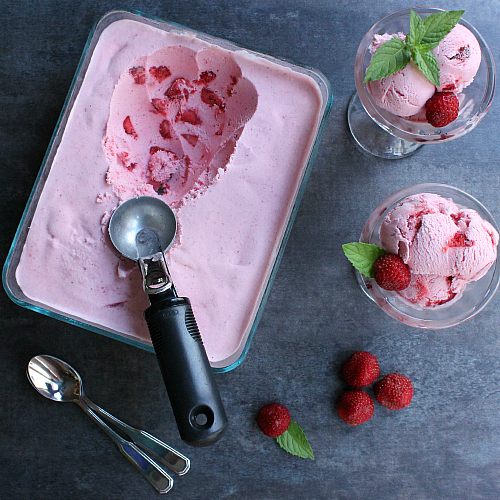 if you don't already have an ice cream maker, you don't know what you're missing. go out and get one! july is national ice cream month after all. combine the sliced strawberries in a bowl with the lemon juice and 1/4 cup of sugar. stir to make sure all of the strawberries are evenly coated. set aside to allow the strawberries to macerate in their juices (about 30-45 minutes). strain the strawberries, reserving the juices. puree half of the strawberries in a blender until smooth. set aside. in a large mixing bowl, combine the whole milk with the remaining 1 cup of sugar. mix with an electric hand mixer on low speed until the sugar has dissolved (about 1-2 minutes). mix in the pureed strawberries along with the strawberry juice. gently stir in the heavy cream and vanilla extract. pour the mixture into a 2 quart ice cream maker and freeze according to the ice cream maker's instructions. let the mixture mix in the ice cream maker until it has thickened (about 25 minutes). remove the ice cream from the ice cream maker and transfer to a freezer-safe container. stir in the remaining sliced strawberries. Looks SO yummy! I may have to try this with all the cherries we picked! We have an ice cream maker we got for a wedding gift that we've used once! I think it's time to pull it out and put it to use, especially since July is national ice cream month!! That looks soooooo delicious and it is loaded with fresh strawberries too. I can't wait to try it on the fourth of July.